The Performance part of our name stands for how we help individuals learn, develop, execute, and apply skills within the chaos of the competitive arena. This could be in athletic competition, work, and anywhere else that requires high-energy, focus, and mental-toughness. Any setting that challenges us to be the best we can be requires that we manage our stress, focus, and resilience. We teach applicable skills that assist you to perform! The Well has a few meanings. First, it simply means to approach and complete any task you do the right way. When we perform “well” it signifies that we completed the challenge successfully. However, Well also refers to the process of achieving success. Sometimes we get the outcome we want, but we aren’t using a system that is mentally or physically healthy. Our goal is not just to have our clients achieve success, but also have them perform in a way that is truly mentally and physically sound, which will make them, their team, or organization as strong and functional as can be. Essentially, it isn’t enough to just have performance success without an approach that is healthy for the individual or the group they’re performing within, as this is not sustainable for the long run. True success is based on a foundation that can handle setbacks and challenges. Adversity will always be a part of the performance environment, so we train to handle each moment that leads us to our ultimate potential. When we have performance success and we do it in a way that is healthy and sustainable we have WellPerformance! 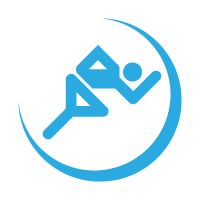 Our idea is to be proactive and preventative in your total athletic performance training. Instead of waiting for an issue to arise our focus is to implement solid mental performance fundamentals that the athlete uses as a base for all of their performance and training. WellPerformance provides trainings for teams, coaches, or organizations and are designed to have a motivational and educational impact on each participant’s performance. However, the goal isn’t to just motivate in the moment, but instead to provide practical tools for the real world. Our goal is to help you become more engaged and focused in both your personal and professional life so that your overall performance can improve. We help you identify the barriers and obstacles that are getting in the way of living the balanced and successful life that you envision. Wellness Coaching is recognized as a new way to help individuals “manage” their health and wellness, especially in the areas of stress management, weight loss, and work/life balance. Wellness coaching is a method of guiding another to “discover” and address their own ambivalence to health behavior change.